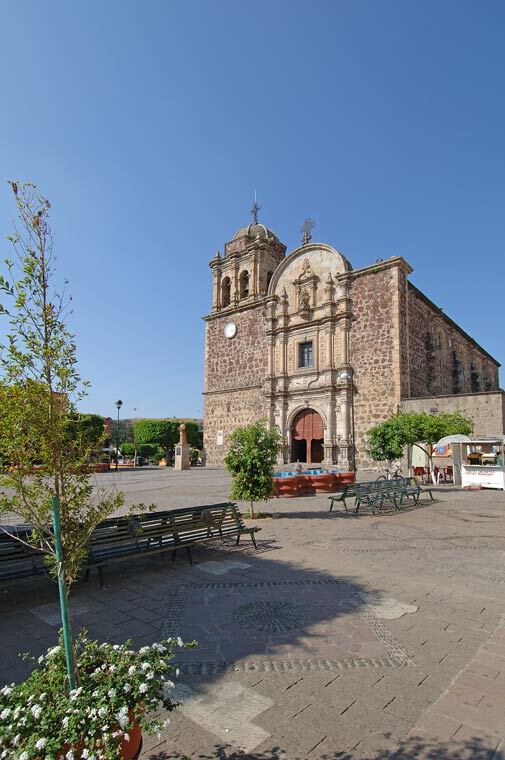 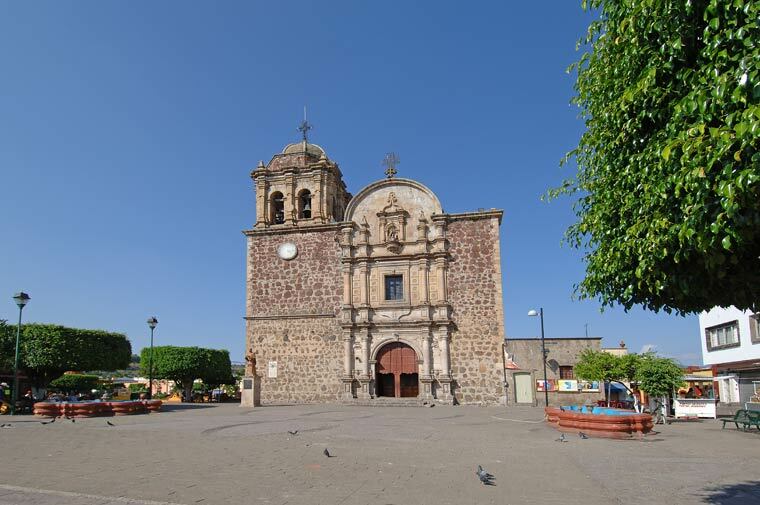 Iglesia Santiago Apostal on the main plaza in the town of Tequila Jalisco. 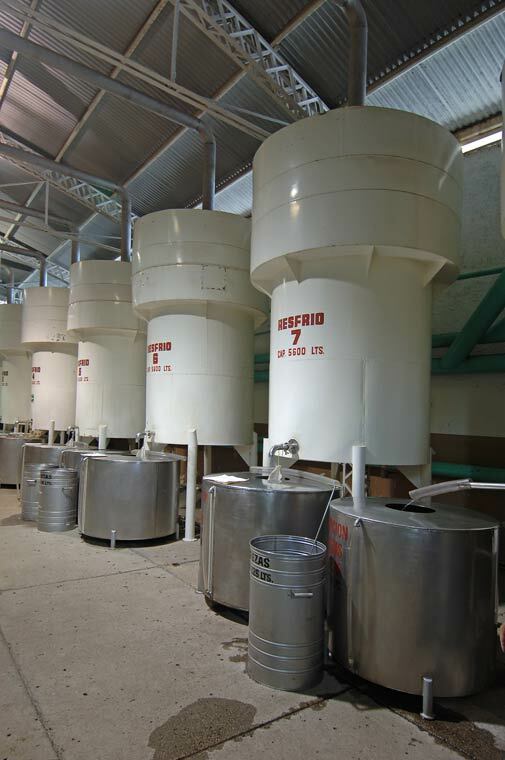 Modern condensers (desfrios) with 5600 liter capacity. 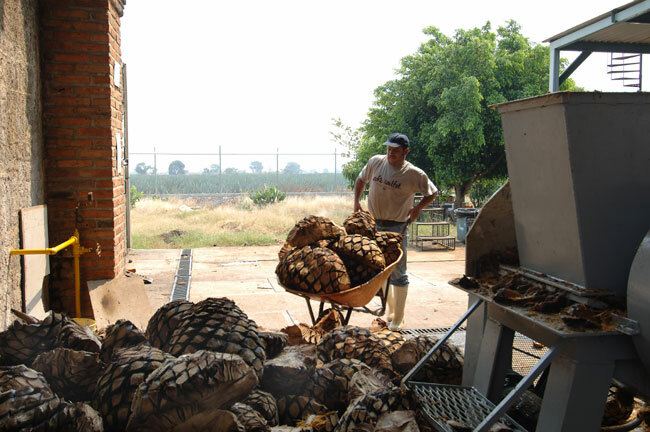 Destiladora de Los Altos in Arandas. 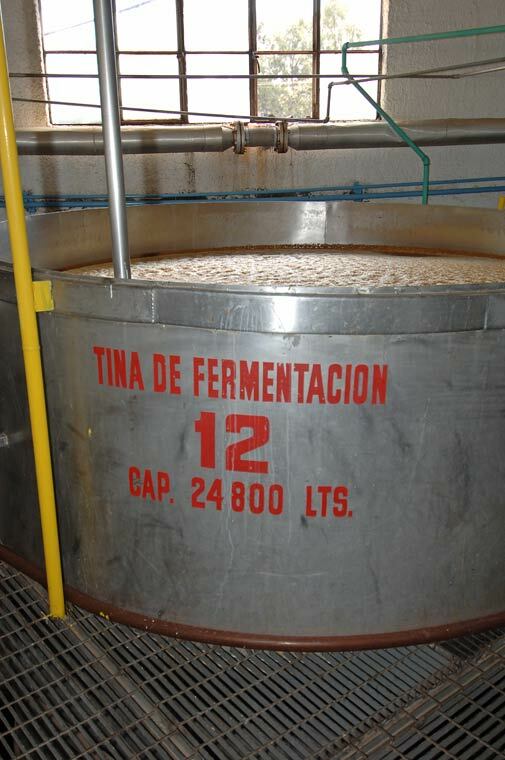 Stainless steel fermentation tank with 24,800 liter capacity. 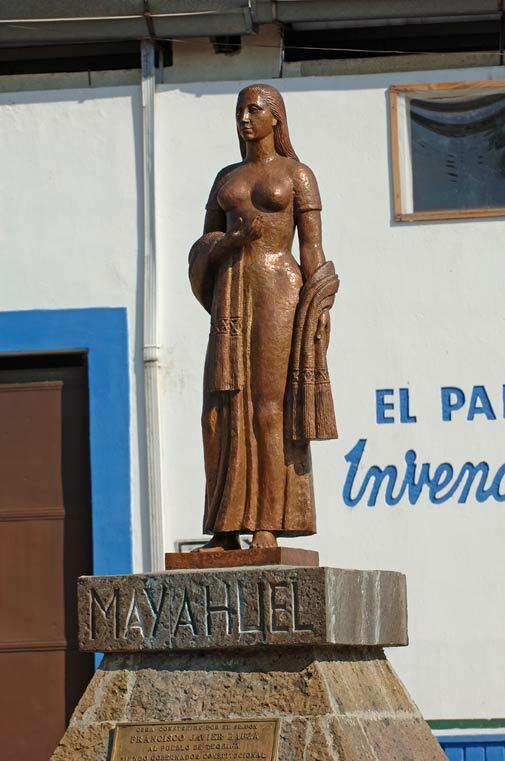 Destiladora de Los Altos in Arandas. 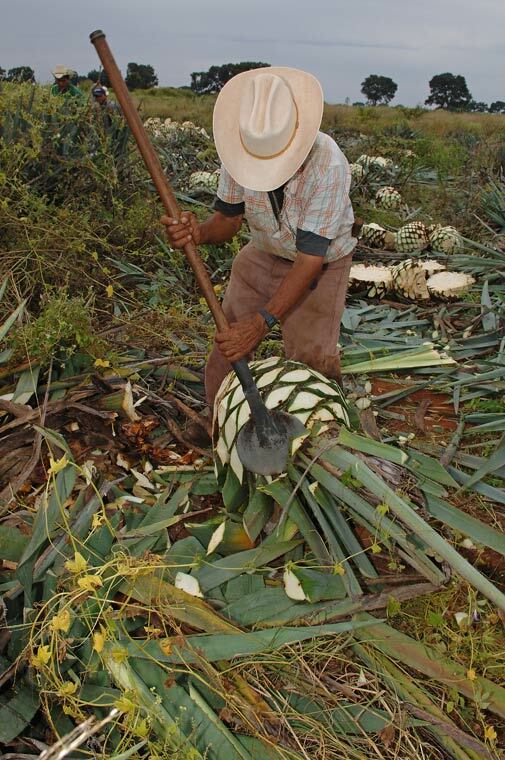 Raw agave hearts, cut in half, rest in front of a working adobe oven. 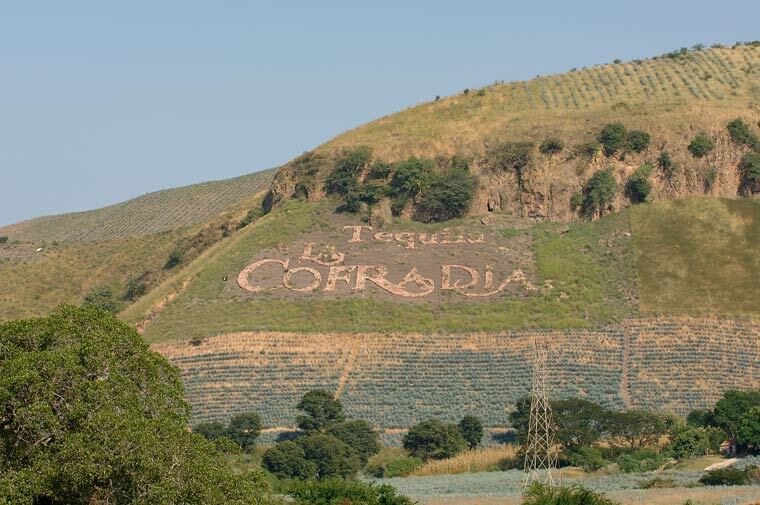 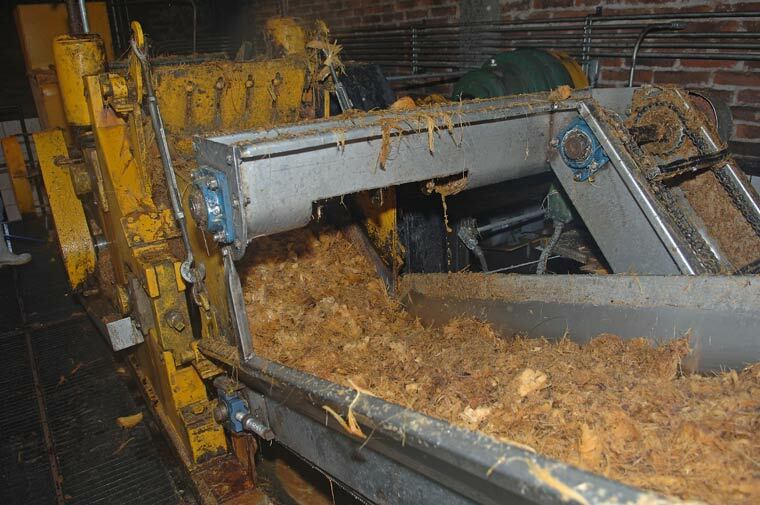 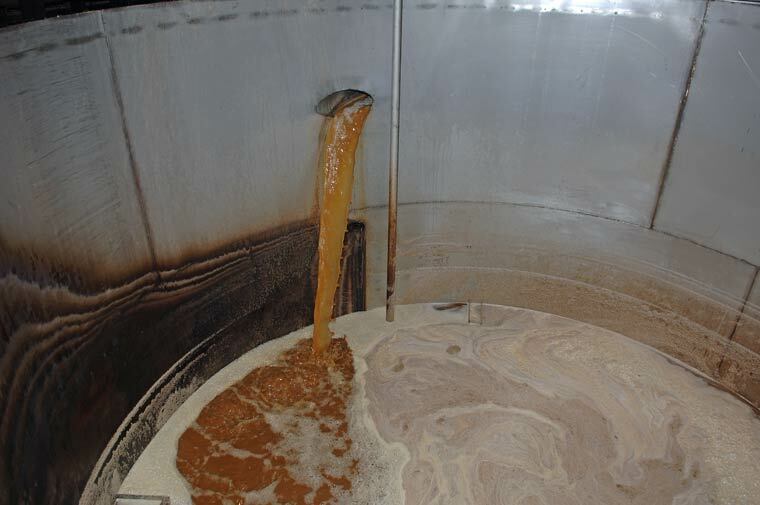 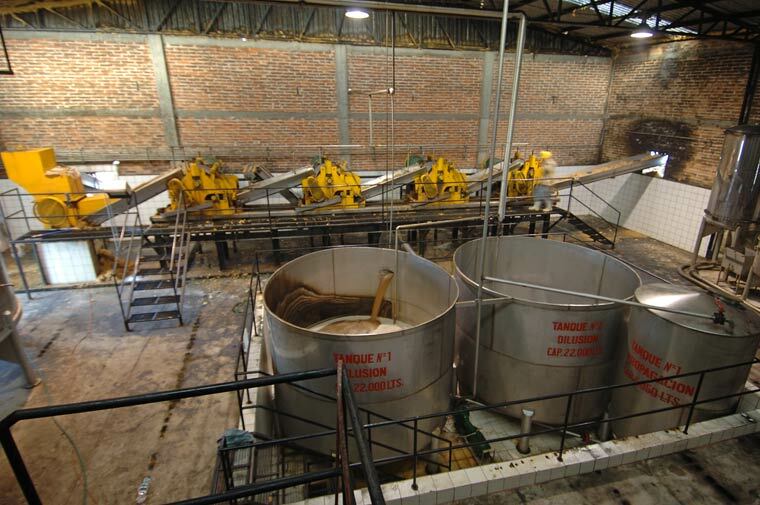 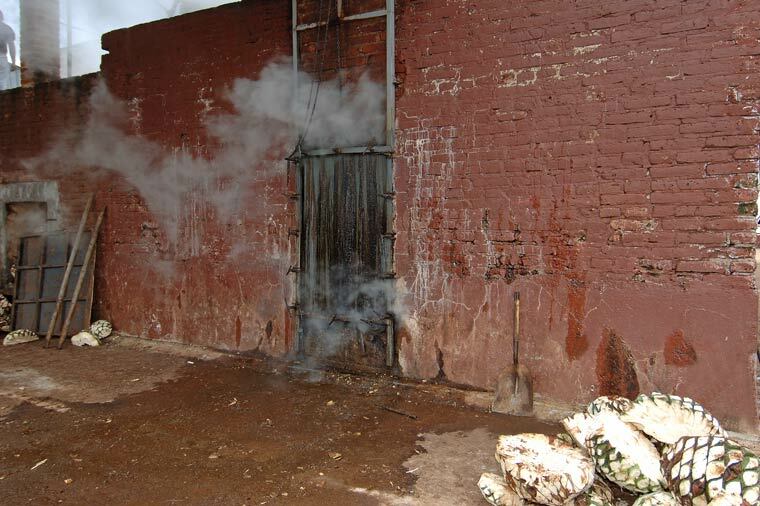 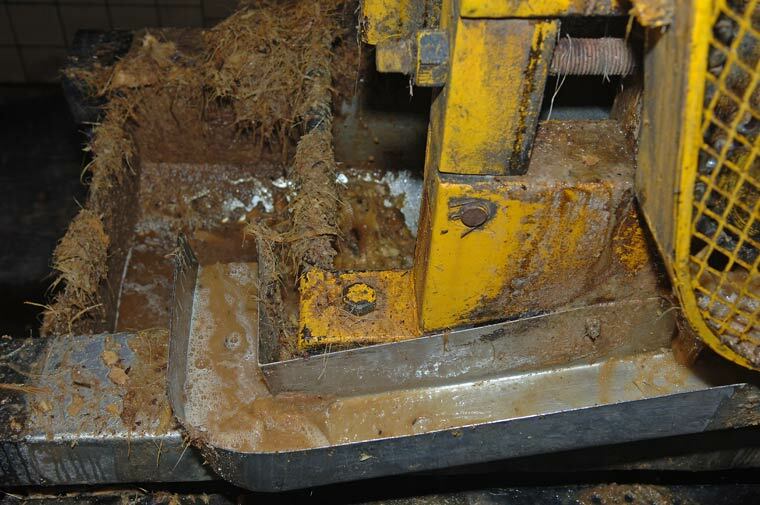 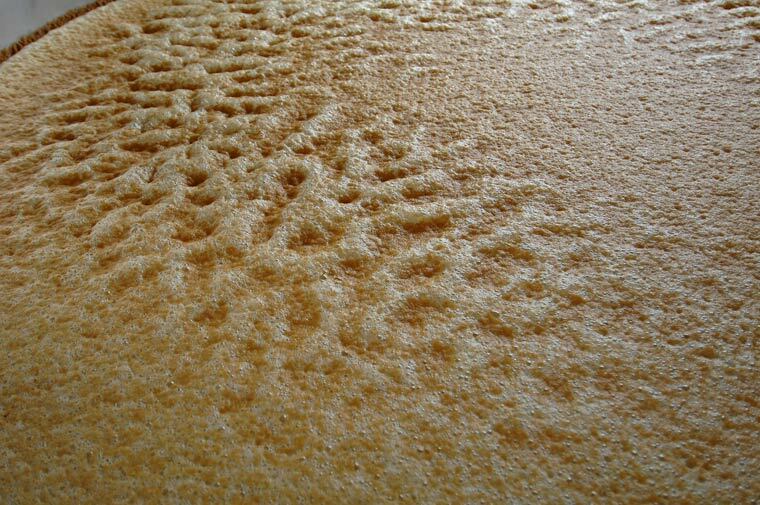 Fermenting agave must or mosto in a stainless steel tank. 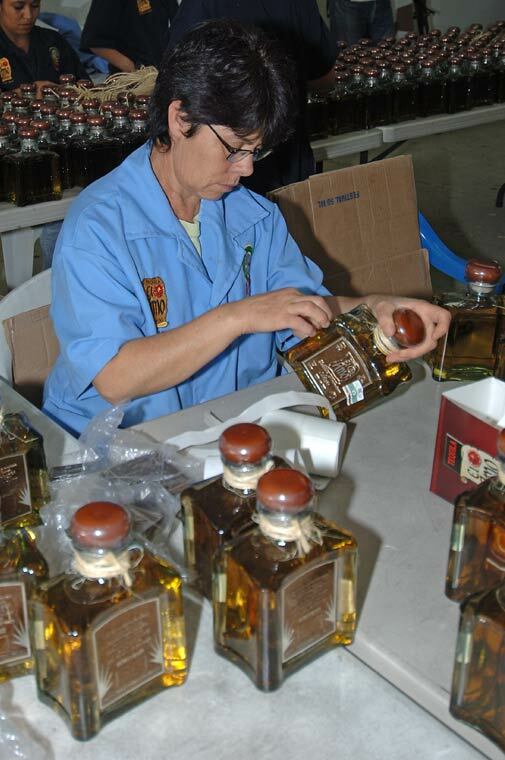 Destiladora de Los Altos in Arandas.